DIOS TRABAJA DE FORMAS MUY MISTERIOSAS…! Y SON LOS REPUBLICANOS, PUESTO QUE BARACK OBAMA LO HA ANUNCIADO A CUATRO VIENTOS DE QUE HA SIDO MÁS QUE UNA LEVE RECESIÓN; PERO LOS INCAUTOS VEN A SUS “PAPIS” Y LES CREEN CUALQUIER “STPDS” ELLOS LES DIGAN. WAY TO GO REPUBLICANS. LOS REPUBLICANOS VELARAN POR SUS INTERESES MONETARIOS SOLAMENTE; GRASS ROOTS AMERICANOS SON DEFENDIDOS POR LOS DEMÓCRATAS Y SON MÁS DEL 47% – LOS QUE GANAN $50,000.00 DÓLARES O MENOS – DE LA POBLACIÓN AMERICANA. PAGINA DE GASTOS DE LOS RICOS AMERICANOS ELLOS PASARAN A FORMAR PARTE DE LOS 47%TERS MAS RÁPIDAMENTE QUE LO QUE ELLOS SE IMAGINAS. QUE NO LES QUEPA LA MENOR DUDA, YA LO HICIERON ANTES – DESPUÉS DE LA CIADA DE WALL STREET EN EL 2008 – Y NO SE TENTARAN EL ALMA PARA HACERLO OTRA VEZ. AQUÍ LOS ESPERAMOS. PARA PODER ALIVIAR EL DOLOR Y LAS NECESIDADES CREADAS SOBRE DEL PUEBLO AMERICANO CON ESA POSICIÓN DESASTROSA Y EGOÍSTAS DE ESTE CONGRESO REPUBLICANO, DE UNA FORMA MUY MISTERIOSA “DIOS” TRAJO “SANDY” A LA UNIÓN AMERICANA. QUE DESPUÉS DE TODO LOS QUE MÁS SE VAN A BENEFICIAR DE ESTA CORRIDA SERÁN LOS RICOS AMERICANOS DE DE CUALQUIER MANERA QUE USTEDES LO QUIERAN VER; Y ASÍ SERÁ. YA USTEDES VERÁN LA HIPOCRESÍA DEL CAPITALISTA EXTREMOS SUBIENDO LOS PRECIOS DE LOS PRODUCTOS Y LOS SERVICIOS A SER USADOS EN LA RECONSTRUCCIÓN DE TODO EL DESASTRE QUE “SANDY HAYA TRAÍDO AL SENO DE LAS CIUDADES AFECTADAS. YA USTEDES VERÁN A LA HIPOCRESÍA DE LOS POLÍTICOS QUE USARAN ESTE INCIDENTE PARA HACER SOBRESALIR SUS POSICIONES POLÍTICAS DISFRAZADAS DE PIEL DE OVEJA; CUANDO EN REALIDAD DETRÁS DE ELLAS LO QUE HAY ES UN LOBO Y MUY FEROZ. SOLO DIOS SABE LO QUE HACE, PORQUE LO HACE, CUANDO LO HACE, Y PARA QUIEN LO HACE. SOLAMENTE HAY QUE ESPERAR PARA VER EL DESENVOLVIMIENTO DE LOS EVENTOS. QUÉ VERGÜENZA, FORMA MÁS CRUEL DE HACER DINERO. HAY PEORES, A DIOS GRACIAS…ASI… NO ES ESTA. MI CRÍTICA ES ÚNICAMENTE PARA ENVIAR UNA LLAMADA DE ALERTA PARA EL PUEBLO ESTADOUNIDENSE…EN SU MAYORÍA LOS REPUBLICANOS; NO TODOS SON ASÍ DE BÁRBAROS DESALMADOS COMO TRATAN DE ACTUAR Y PARECEN REALMENTE QUE QUISIERAN DEMOSTRAR SER…UNOS BÁRBAROS DESALMADOS; NO TODOS. PERO SI LO HAY ASÍ DE BARBAROS Y DESALMADOS TAL COMO LOS TALIBANES SE COMPORTAN CON SU PROPIO PUEBLO… MALTRATAN A SUS HOMBRES Y MUJERES POR IGUAL. ESPEREN, YA USTEDES VERÁ LA NATURALEZA DE LA HUMANIDAD DE LOS REPUBLICANOS. LOS PRECIOS DE LOS PRODUCTOS Y SERVICIOS A SER USADOS EN LA RECONSTRUCCIÓN LLEGARAN AL CIELO; CON PRECIOS ALTÍSIMOS. QUE HUBO VÍCTIMAS MORTALES EN ESTE EVENTO; CLARO QUE SÍ. ASÍ HUBO PARA LA CAÍDA DEL ” CATACLISMO DEL WALL STREET EN EL 2008″ Y TAMBIÉN LO HUBIERON PARA CUANDO LLEGO “KATRINA EN 2005 A NUEVA ORLEANS”, TODOS LOS RICOS AMERICANOS NO DIJERON Y TAMPOCO HICIERON MUCHO, A CASI NADA… ¿POR QUÉ? TODOS ELLOS SE BENEFICIARON DE LA SITUACIÓN. ADEMÁS, EN ESOS MOMENTOS LOS QUE IMPORTABAN ERAN LOS QUE SE QUEDABAN DESAMPARADOS SUFRIENDO ESE DOLOR DE SERES HUMANOS CAÍDOS A LA DESGRACIA. ESO ES PRECISAMENTE LO QUE HACE FALTA HOY DÍA CON LOS RESULTADOS DEVASTADORES DE “SANDY”; ALIVIAR ESE DOLOR HUMANO Y DE UNA FORMA QUE SOLAMENTE DIOS SABE CÓMO VA A SER RESUELTA. POR LO TANTO, APEGUEMOS A LA REALIDAD DEL PRESENTE, EL PROCESO DE LA RECUPERACIÓN Y LA RE-CONSTRUCCIÓN DE LO QUE LA TORMENTA SANDY NOS HA DEJADO; Y DEJEMOS QUE LAS COMPAÑÍAS DE SEGUROS SEAN LAS QUE TENGAN QUE SUFRAGAR TODOS LOS GASTOS QUE LA REVITALIZACIÓN DE LAS CIUDADES VA A COSTAR. SOLO “DIOS” SABE DONDE PONE EL OJO Y EL PORQUÉ. ¿QUIÉN SERÁ EL BENEFICIADO CON EL CRÉDITO POLÍTICO DE ESTA ETAPA CRUCIAL QUE ESTAMOS PASANDO…? ES “DIOS”, PORQUE ÉL LO HIZO, Y – CIERTAMENTE – ÉL SABE EL POR QUÉ Y ÉL SEGURAMENTE TAMBIÉN SABE PARA QUIÉN. EN SU CASO…TÚ DECIDES PARA QUIEN ES EL BENEFICIO POLÍTICO; PUESTO QUE TAMBIÉN DIOS INTERVIENE EN LA POLÍTICA DEL MUNDO, Y LO ESTÁ HACIENDO EN LA UNIÓN AMERICANA. AQUELLOS DE USTEDES QUE ESTÁN INDECISOS, O QUIEREN REAFIRMAR SU POSICIÓN DE POLÍTICA, O PARA AQUELLOS DE USTEDES QUE NO SABE POR QUIÉN VOTAR…AQUÍ TIENES UNA GUÍA POSITIVA, JUSTA Y TOTALMENTE IMPARCIAL. GOD WORKS IN MYSTERIOUS WAYS…! WAY TO GO GOD…! THE “GOP CONGRESS” SAT ON THEIR LEADED BOTTOMS, AND SPENT FOUR YEARS WITH THEIR WRONG AND “STPD” “NO ATTITUDE” TOWARDS THE PRESIDENT BARACK OBAMA’S SUGGESTIONS, PLANS AND PROGRAMS, AND NOTHING WAS PRODUCED TO ALLEVIATE THE FALLING OF “OFF THE CLIFF OF TO THE LAYOFFS FOR” THE GRASS ROOTS AMERICAN MIDDLE CLASS JOBS. THEIR – GOP’S – FIRST COMMANDMENT WAS TO DESTROY EVERYTHING THE OBAMA GOVERNMENT DID, STOOD, OR WANTED TO DO FOR THE AMERICAN CITIZENRY… IF IT WAS NOT WHAT THEY WANTED FOR THEIR OWN AND SOLE INTEREST…”PROFITS” THEY COULD NOT PROVIDE THEIR CONSENT…! NOTHING ELSE “BUT PROFITS”DO THEY HAVE IN THEIR MINDS; BY ALL MEANS THEY HAVE TO MAKE PROFITS OUT OF EVERY POSSIBLE SITUATION, BUT NOTHING ELSEFOR WHAT WENT FOR THE GRASS ROOTS AMERICANS MIDDLE CLASS. WAY TO GO REPUBLICANS. TO CURTAIL THIS REPUBLICAN’S DISASTROUS, AND EGOTISTIC POSITION, IN A MYSTERIOUS WAY ‘GOD’ BROUGHT “SANDY” INTO TOWN FOR THE SHAMEFULL HEARTED REPUBLICANS TO PARTICIPATE – FOR THEIR EGOTISTIC SATISFACTION – IN THEIR “PROFITEERING” PARTY ; FOR THE AFTER SANDY RECONSTRUCTION PROCESS THAT IS WHAT IS BRINGING AROUND- JUST WAIT AND YOU WILL SEE WHAT I MEAN; PRODUCTS AND SERVICES USED FOR THE RECOVERY FOR THE NORTHERN-EASTERN STATES AFFECTED BY THE MALADY BROUGHT ALONG WITH THE SANDY STORM WILL GO SKY HIGH, AND FOR THAT KIND OF ACTIVITY – JUST WAIT AND SEE – THE FAMOUS BUSINESS OWNERS – NOT ALL OF THEM – IN THE MAYORITY WILL RACK THEIR PROFITS THEY WISH.. GOD ONLY KNOWS WHAT FOR, AND HOW HE DOES HIS MERCYFUL WORK. MY CRITIC IS SOLELY TO SEND A WAKE UP CALL FOR THE AMERICAN PEOPLE…MOSTLY THE REPUBLICANS; FOR NOT ALL ARE SO BARABARIAN AS THEY ACT AND AND LOOK LIKE THEY REALY WANTED TO BE…BARBARIANS. LIKE THE TALIBANS BEHAVE WITH THEIR OWN PEOPLE…. MEN AND WOMEN ALIKE. JUST WAIT AND YOU WILL SEE THE NATURE OF THE HUMANITY OF THE REPUBLICANS. PRODUCTS AND SERVICES WITH PRICES SKY HIGH. THAT THERE WERE FATALITIES IN THE EVENT, SO THERE WERE FOR THE “WALL STREET CATACLYSM 2008 ”, AND FOR THE “KATRINA IN 2005 IN NEW ORLEANS”, ALL REPUBLICANS AS WELL DEMOCRATS SAY, AND DID NOTHING…WHY? THEY ALL BENEFITED FROM THE SITUATION. BESIDES, AT THIS POINT IN TIME WHO CARES WHAT MAY HAVE HURTED HUMANS IN THAT THEN; THE GONE ONES ARE GONE AND NOTHIG IS GOING TO MAKE THEM COME BACK. 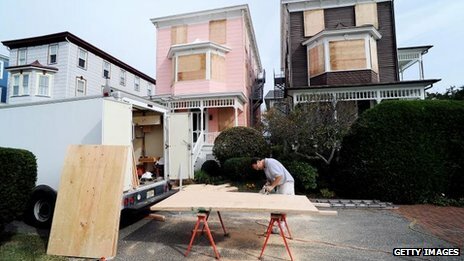 SO, LET’S STICK TO THE PRESENT, THE PROCESS OF THE RECOVERY AND THE RE-COSTRUCTION OF WHAT THE STORM SANDY DID LEAVE US; AND LET THE INSURANCE COMPANIES CARRY ON WITH THE DEFRAYING ALL OF THE EXPENSES THAT THE REVITALIZATION OF THOSE ESTATES IS GOING TO COST. WHO IS TO GET THE POLITICAL CREDIT FOR THIS HAPPENING…? IT IS GOD, FOR HE DID IT, AND HE – CERTAINLY – KNOWS WHY AND HE SURELY ALSO KNOWS WHAT, AND WHOM FOR. IN YOUR CASE…YOU DECIDE WHOM FOR. THOSE OF YOU WHO ARE UNDECIDED, OR WANT TO RE-AFFIRM YOUR POLIITICAL POSITION, OR THOSE OF YOU WHO DON’T KNOW WHO TO VOTE FOR…HERE YOU HAVE A POSITIVE GUIDE. THE ADVERTISING MITT ROMNEY IS RUNNING TO THE END OF THE CAMPAIGN IN NO MORE THAT CHEAP DEMAGOGUERY ; AND THOSE SURVEYS REFLECT HIS CREATION TO CONFUSE – DURING THE LAST DAYS OF THE CAMPAIGN FOR THE UNDECIDED TO MAKE UP THEIR MINDS – YOU AND THAT IS EXACTLY WHAT THEY ARE DOING – TO MISLEAD THE UNWARY. SURE THING AMERICAN AND LATINA WOMEN WILL NEVER VOTE REPUBLICAN. NEVER IN THEIR DREAMS. YOU CAN BET ON THAT EVEN TGEH POLL CALL FOR ALLTEH CONTRARY. THOSE POLLS ARE MITT ROMNEY’S MICKEY MOUSE PRODUCTION. 2. THE AFRICAN AMERICANS ARE AMONG THOSE WHO LEAST FAVOR THE REPUBLICAN PARTY. THEY HAVE ALWAYS BEEN SUBJECTED SINCE THE ERA OF THE COLONY AND THAT “DISCRIMINATORY ATTITUDE “TODAY STILL CONTINUES ALIVE. IT HAS NOT CHANGED MUCH, ONLY ON PAPER. OUT THERE IN THE REAL WORLD…REALITY INDICATES US THAT THE AFRICAN-AMERICANS ARE NOT YET CONSIDERED EQUAL. REMEMBER “KATRINA IN NEW ORLEANS”, IF YOU REMEMBER, THEN I REST MY CASE. FURTHERMORE, DO YOU BELIEVE THAT A MAN LIKE MR. MITT ROMNEY IS GOING TO DRAW A DIFFERENT PATTERN OF TREATMENT FOR AFRICANAMERICANS…AT THIS POINT IN HIS ARROGANT CARRIER…? NO WAY JOSÉ. MOSTLY THOSE REPUBLICAN EXTREMISTS…THEY ARE THE WORSE…! 3 NOLATINO-AMERICANS ARE THE ONES THAT IF THEY FAVOR REPUBLICANS IS BECAUSE THEY ARE SUBJECTED, INDEBTED FINANCIALLY, MORALLY, AND SOCIALLY, OR SIMPLY BECAUSE – AS MR MITT ROMNEY FLIP-FLOPPER – THEY WILL DO EXACTLY ‘THAT’…THEY WILL CHANGE – AS THE CHAMELEON – WITH THE WIND UP NEXT TO ONE WHO IS IN CONTROL OF THE GOVERNMENT TO MAKE SURE THAT THEY WILL FIND THE HELP THEY MAY BE SEEKING FOR THEIR OWN PURPOSES. AMONG THIS CATEGORY OF INDIVIDUALS THERE’S A LARGE NUMBER OF DISENCHANTED AND THEY POSITIVELY WILL NOT VOTE FOR THE REPUBLICANS DEFINITELY. 4. IN THE AGRICULTURAL SECTOR – THE IMMIGRANTS – ARE THE MOST BADLY HIT BY THE AMERICAN RICH? EITHER BECAUSE THEY PAY THEM A FRACTION OF WHAT IS CONSIDERED “A FAIR WAGE BY THE NATURE OF THE WORK DONE”, OR BECAUSE NOW “AS THEY DO NOT NEED THEM AS BEFORE” THEY HAVE DENIGRATED THEM, AND CRIMINALIZED THEM AS DID THE HEAD OF POLICE IN ARIZONA, “JOE APRICOT AND THE LADY GOVERNOR JAN BREWER” LORDS OF THE ARIZONA STATE. SHAME OF THEIR STANDARDS FOR THE HUMAN RIGHTS. 5. IN THE STUDENT SECTOR, MOSTLY IN THE AMERICAN UNIVERSITIES – THE GREATER PART ARE RICH REPUBLICANS – HAVE UNDERMINED ALL THE CORNERS FOR A FAIR ACCESS TO UNIVERSITIES, THE APPROPRIATE SUPPORT AS HAS BEEN COSTUMARY YEARS PAST, AND TEH CREATION OF FAIR PROGRAMS TO BENEFIT BOTH SIDES OF THE TRANSACTION …THE 47%TERS AND THE 53%IQUALY. NO, THAT IS NO LONGER THE CASE. NOW DAYS, IF YOU DON’T HAVE MONEY IN THE BANK -THE RECOMMENDATION OF MR MITT ROMNEY IS CALL ON YOUR PARENTS AND ASKS THEM FOR A LOAN. WAY TO GO MITT…! HOW ABOUT IF THEY DON’T HAVE THE MONEY…! THEN YOU ARE SURELY OUT OF SCHOOL AND READY TO JOIN THE AMERICAN ARMED FORCES FOR THAT IS YOUR LAST RESOURCE TO BE ABLE TO GO TO A UNIVERSITY. THEN THE GOVERNMENT WILL PAY TUITION THAT IS IF YOU DONT WIND UP WITH A LARGE SUMM OF DEBT FOPR THAT HAP[NES. HOW MUCH AMERICA MISSES THE “DRAFT”; IT SURE WAS THE FAIREST WAY TO SELECT WHO WENT TO THE ARMED FORCES; AND ALL WENT SELECTED FOR EQUAL. THIS IS THE WAY IN WHICH THIS MATTER – FOR STUDENTS OF THE 47%TERS – IS CALCULATED AND MANIPULATED JEALOUSLY SO, STUDENTS WILL BE ENROLLED IN LIFE AFFAIRS LONG BEFORE THEY CAN GO TO GET AND EDUCATION UNIVERSITY LEVEL BEFORE THEY TANGLE WITH EVERY DAYS REAL LIFE PROBLEMS. STILL REPUBLICANS BELIEVE THEY DESERVE EVERYTHING FOR THEY HAVE THE MONEY AND THE 47%TERS DO NOT. 6. THE HOMOSEXUAL AMERICAN COMMUNITY ARE THE ONES WHO LEAST HAVE A REPUBLICAN IN THEIR MINDS AT THE TIME OF VOTING. THE REPUBLICAN MENTALITY HAVE BARRED THIS PEOPLE OUT OF OUR SOCIAL SPECTRUM, THEREFORE THEY CANNOT EXPECT A VOTE FROM THEM. NEVER IN THEIR WILDEST DREAMS. NO WAY JOSÉ…! 7 FOR REPUBLICANS TO SAY THAT THOSE INVOLVED IN SMALL BUSINESS IN AMERICAN WILL BRING THE ONLY WAY OF SALVATION OF THE CAPITALISTIC SYSTEM….IS LUDICROUS, A LIE, AND AN EXAGGERATED EXCUSE TO OBTAIN THIER GOALS. THE SECTOR OF 47%TERS – AS BY MITT ROMNEY CALLS THEM – TELL ME WHICH IS THE BUSINESS THAT YOU KNOW THAT GENERATES INCOME OF OVER 1/2 MILLIN A YEAR…THAT MUCH MONEY – FOR SMALL BUSINESS ARE SUPPOSED TO GENERATE HALF A MILLION DOLLARS OF INCOME ANNUALLY TO BE CONSIDERED AS SUCH – VERY FEW, IF NOT NONE…! OF COURSE TO GENERATE HALF MILLION ANNUAL REVENUE, THE BUSINESS MUST HAVE A QUANTITY VERY HIGH AS INVESTMENT. BY THIS WAY OF THINKING, THE 47%TERS AND 10% OF THE OTHER 53%TERS OUT OF THE PICTURE TO BE PART OF THIS ELITE BUSINESS OWNER OF THE 53%TERS. NOBODY WHO MAKES $50,000.OO DOLLARS OR LESS HAS BARELY ENOUGH MONEY TO MAKE ENDS MEETL MUCHLESS TO SAVE ANY TO MAKE INVESTMENTS. YES, THERE ARE WAYS TO DO IT, MANY, BUT NOT AVAILABLE FOR EVERYBODY. BESIDE, ASK YOURSELF HOW MUCH MONEY YOU NEED TO OPEN A SMALL BUSINESS…A LOT. THEREFORE THE 47%TERS ARE OUT COMPLETELY. DO YOUR INVESTIGATION AND DO THE MATH. NO WAY IF YOU MAKE $50K OR LESS. WELL, DONT LET THEM TO TELL YOU STORIES, FOR CERTAINLY – IF THEY ARE REPUBLICANS – THAT IS EXACTLY WHAT THEY ARE DOING WITH THOSE FAKE POLLS AND SURVEYS; THAT IS A BUNCH OF LIES…ONLY TO GET YOUR VOTE… THE MERCENARY STYLE. REMEMBER, VOTING IS A PRIVILEGE AND A PRIVATE ONE. SO, WHEN SOMEONE ASKS YOU WHO YOU ARE GOING TO VOTE FOR…JUST TELL THEM WHAT THEY EXPECT TO HEAR FROM YOU…BUT DON’T’ TELL. WE HOPE YOU WILL ENJOY A PLEASANT LIFE, FAIR AND POSITIVE IN EVERY POSSIBLE SENSE…FOR YOU AND YOUR FAMILY…AND FOR ALL AMERICANS. LA PUBLICIDAD DE ROMNEY IS DEMAGOGIA BARATA Y LAS ENCUESTA CREADAS PARA ENGAÑAR A LOS INCAUTOS. LA PUBLICIDAD DE ROMNEY IS DEMAGOGIA BARATA Y LAS ENCUESTA CREADAS PARA CONFUNDIR – DURANTE LOS ULTIMOS DIAS A LA POBLACION INDECISA QUE YA LO DIJO MITT ROMNEY ELLOS VAN A UTILIZAR TODOS LOS MEDIOS Y LOSDINEROS QUE TIENEN EN LOS ULITMOS DIAS DE LA CONTIENDA Y ESO ES EXACTAMENTE LO QUE ESTAN HACIENDO – Y PARA ENGAÑAR A LOS INCAUTOS. 1. LAS MUJERES, QUE NO SE CREA MR. MITT ROMNEY QUE CAMBIANDO DE “CABALLO PUBLICITARIO” YA CAMBIO LA REALIDAD DE SU FORMA DE PENSAR…! LA MUJER AMERICANA Y LA LATINA PARECEN BOBAS PERO NO LO SON. LA “PATRAÑA TALIBANESCA” DE LOS REPUBLICANOS – EXPRESADA POR “TODD AKIN AND RICHARD MOURDOCK” SIENDO APOYADOS POR LA OPINION DE MITT ROMNEY – DE OBLIGAR A UNA MUJER A SOMETERSE A TERMINAR UN EMBARAZO QUE ELLA NO DESEA SIN CONTAR LA RAZON DEL POR QUE ELLA ESTA ENBARAZADA; COMO ES EN EL CASO DE LAS VIOLACIONES DE CUALQUIER NATURALEZA ESTA SEA, PARA MENCIONAR ALGUNA SON TOTALMENTE ABSURDAS Y “STPDS”; SOLO CABE EN LAS CABEZA DE UN TALIBAN. ESA “STPD” IDEA REPUBLICANA NO CABE Y NUNCA CABRA EN LA MENTE DE LAS MUJERES CUERDAS Y QUE NO ESTAN SOMETIDAS POR UNA U OTRA RAZON; CUALQUIERA ESTA PUEDA SER. BUENO CON ESTA PALABRA ME EXPLICO DEL TODO. ADEMAS, USTEDES CREEN QUE UN SEÑOR COMO MR. MITT ROMNEY VA A TRAZAR UN PATRON DIFERENTE DE TRATO PARA LOS AFROAMERICANOS…A ESTAS ALTURAS DE SU ARROGANCIA…? NO WAY JOSE. MAXIME LOS REPUBLICANOS EXTREMISTAS…QUE SON LOS PEORES…NI SOÑARLO. 3. LOS NOLATINO-AMERICANOS SON LOS QUE SI FAVORECEN A LOS REPUBLICANOS ES PORQUE ESTAN SOMETIDOS, ENDUEDADOS MORAL Y SOCIALMENTE, O SIMPLEMENTE POR QUE – COMO MR MITT ROMNEY EL FLIP-FLOPER – HARAN EXACTAMENTE ‘ESO’ CAMBIAR – COMO EL CAMALEON – CON EL VIENTO Y ARRIMARSE AL LADO DE AQUEL QUE ESTA EN CONTROL DEL GOBIERNO PARA ASI ASEGURARSE QUE ENCONTRARAN LA AYUDA QUE BUSCAN, CUALQUIERA ESTA SEA; PERO ENTRE ELLOS HAY UN GRAN NUMERO DE DESENCANTADOS Y ELLOS POSITVAMENTE NO VOTARAN POR LOS REPUBLICANOS DEFINITIVAMENTE. 4. EN EL SECTOR AGRICOLA SON LOS MAS GOLPEADOS POR LOS RICOS AMERICANOS. YA SEA PORQUE LES PAGAN UNA FRACCION DE LO QU SE CONSIDERA “UN JUSTO SALARIO POR LA NATURALEZA DEL TRABAJO HECHO”, O PORQUE AHORA “COMO NO LOS NECESITAN COMO ANTES” LOS DENIGRAN Y LOS CRIMINALIZAN COMO LO HA HECHO EL JEFE DE LA POLICIA DE ARIZONA, EL SEÑOR “JOE ARPAIO Y LA SEÑORA JAN BREWER” DEL MISMO ESTADO. 5. EN EL SECTOR ESTUDIANTIL, MAXIME EN EL AREA UIVERSITARIA LOS RICOS AMERICANOS – QUE LA MAYOR PARTE SON REPUBLICANOS – HAN MINADO TODOS LAS ESQUINAS DE UN ACCESO JUSTO A LAS UNIVERSIDADES, Y UNA AYUDA ADECUADA Y FAVORABLEMENTE PROGRAMADA PARA BENEFICIAR A AMBOS LADOS DE LA TRANSACION. NO ESO YA NO ES ASI. AHORA SIN NO TIENES LA PLATA EN EL BANCO – LA RECOMENDACION DE MR MITT ROMNEY ES VERGONSOZA Y DESCARADA – TIENES QUE RECURRIR A TUS PADRES PARA QUE TE HAGAN UN RESTAMO, SI TIENEN LA PLATA, Y SI NO…? BUENO, ESA ES PRECISAMENTE LA IDEA REPUBLICANA, UNETE AL EJERCITO AMERICANA Y CAUNDO HAYAS TERMINADO TU TIEMPO, ENTONCES EL GOBIERNO TE PAGARA LA COLEGIATURA. QUE BUENO Y QUE BONITO, TODO ESTA FRIAMENTE CALCULADO Y CELOZAMENTE MANIPULADO PARA QUE LA CLASE ESTUDIANTIL ESTEN ENROLADOS EN VIVIR LA VIDA ANTED DE QUE ELLOS PUEDAN HACER UNA BUENA ESCUELA ANTED DE EMPEZAR A METERCE EN PROBLEMAS DE LA VIDA COTIDIANA. 6. LA COMUNDAD HOMESEXUAL AMERICANA SON LOS QUE MENOS CUENTAN CON UN REPUBLICANO PARA NADA; PERO PARA NADA. ASI ES QUE ESE LADO DE LA SOCIEDAD ESTA VEDADE PARA LOS REPUBLICANOS. QUE NI SUEÑEN QUE VAN A RECIBIR ALGUN VOTO DE PARTE DE ELLOS. NO WAY JOSE…! 7. Y PARA PONERLE TAPA AL POMO, TODOS LOS COMERCIANTES QUE CREAN QUE ELLOS ESTAN CONTADOS EN EL FAMOSO TERMINO ” LOS PEQUEÑOS NEGOCIOS”; QUE DESPIERTEN PUESTO QUE TODOS LOS NEGOCIOS QUE EN LA ECONOMIA AMERICANA SE LES LLAMA “PEQUEÑOS NEGOCIOS” TIENEN UN INGRESO DE NO MENOS DE MEDIO MILLON ANUALMENTE. USTEDES CREEN QUE UNA PANADERIA DE “MAMA Y PAPA” EN UN PUEBLO PEQUEÑO CON POCA DEMANDA GENERAN ESA CAATIDAD DE INGRESOOS …? NO….CLARO QUE NO! ENTONCES SINO SON NEGOCIOS PEQUEÑOS…QUE SON…? HABRA QUE PREGUNTARSELO A LOS REPUBLICANOS RICOS…HABER SI ELLOS TIENEN ALGUN NOBRETE CALIFICANDO ESTA SITUACION; UN TANTO SIMILAR A LA FAMOSA FRASE DE MR MITT ROMNEY LA DE LOS 47%TERS. HABER TRATEN USTEDES – LOS DEL SECTOR DEL 47% DE MITT ROMNEY – DE PENSAR CUAL ES EL NEGOCIO QUE USTEDES CONOZCAN Y QUE GENEREN ESA CANTIDAD DINERO ANUAMENTE…! MUY POCOS , SINO NINGUNO…! CLARO PARA GENERAR MEDIO MILLON DE INGRESOS ANUALES, EL NEGOCIO TIENE QUE TENER UNA CANTIDAD MUY ELEVADA COMO INVERSION. ASI ES QUE EN LOS 47% Y LOS 10% DE LOS OTROS 53% ESTAN EN LA PAGINA DOS PARA LOS RICOS AMERICANOS. CON CUANTO DINERO HAY QUE CONTAR PARA ABRIR UN NEGOCIO DE ESTA INDOLE…? MUCHOS MILES QUE LOS 47%TERS NO TIENEN NI PARA COMPLETAR SUS OBLIGACIONES ANUALES CON $50,000.00 DOLLaRES, Y MENOS QUE ESO… PEOR AUN. QUE NO LES QUEPA LA MENOR DUDA…ASI ES. BUENO, QUE NO LE DIGAN Y QUE NO LE CUENTEN…PORQUE A LO MEJOR – Y CASI SEGURO SI SON REPUBLICANOS – LE MIENTEN…SOLAMENTE PARA SACARLES EL VOTO. RECUERDEN CON MUCHO ZELO, DE QUE EL VOTAR ES UN PRIVILEGIO Y ES PRIVADO, POR LO CONSIGUIENTE PARA EVITARSE PROBLEMAS SOCIALES Y DE VECINDARIO, CUANDO LE PREGUNTEN POR QUIEN HAN O VAN A VOTAR, SOLAMENTE CUENTELES LO QUE ELLOS QUIEREN ESCUCHAR Y PUNTO. UN CIUDADANO INTERESADO EN CAMBIAR LA ORIENTACION DE NUESTRA ECONOMIA NACIONAL… A UNA MAS PROGRESIVA, JUSTA Y HONESTA PARA CON SU CIUDADANIA; YNO MAS DE LOS MISMO POR LOS ULTIMOS CATORCE (14) AÑOS.. WORSE STORM EVER – BECAUSE “GOD WANTS IT SO” – USING RICHARD MOURDOCK’S WORDS. WORSE STORM EVER HITTING USA. MOTHER NATURE AT WORK ONCE AGAIN. IT IS NOT A JOKE – IT IS A BECAUSE “GOD WANTS IT SO”…! AS BY THE FAMOUS WORDS OF THE REPUBLICAN RICHARD MOURDOCK WHO IS SOLIDLY SUPPORTED BY MITT ROMNEY…AS IN THE “STPD” CONCEPT OF RACIONALIZING WHAT HAPPEENS IN IN THE ABORTION MANDATE WHEN AMERICAN WOMEN ARE TRYING TO SOLVE THEIR OWN LIFE’S PROBLEMS. THERE IS ONE QUESTION I WOULD LIKE TO ASK REPUBLICANS…! THE PRO-LIFERS…! WHY ARE YOU AS MASOCHISTIC AS TO DEMAND FROM THE 47%TERS – WHEN THERE IS A NECESSARY ABORTION TO BE PERFORMED – THAT THE PREGNANT WOMAN CAN NOT DO IT…WHY…? WHY DO YOU – REPUBLICANS – WANT TO KEEP ON BRINGING MORE 47%TERS TO THE AMERICAN SOCIETY IF YOU HATE THEM SO MUCH…? AND IF YOU DON’T PLAN TO HELP THEM…WHY TO BRING THEM…? IS IT NOT A LOT CONTRADICTORY – IN YOUR CAMPAIGN RETHORIC – TO BE DEMANDING SUCH “STPD” ACTION IF THE END RESULT WOULD BE ONE MORE 47%TERS – WHO AS BY YOUR LEADER MITT ROMNEY’S OWN DECISION – THEY ARE FREELOADER, GOOD FOR NOTHING, SOCIAL LOAD? I THINK REPUBLICANS – IN THE MIDDLE OF SO MUCH HATE IN THEIR HEART AND SOULS – DON’T KNOW WHAT THEY REALY NEED OR WANT; FOR THOSE PREGNANT WOMEN OF THE 53%TERS – WHO HAVE THE MONETARY MEANS TO CARRY ON THEIR NOT SO DESIRABLE PREGNANCY, THEY CAN GET THEIR ABORTIONS DONE WITHOUT ANOUNCING THEM TO ANYONE AT ALL, NOR TO SROP THEM THEY CAN DO IT. THAT SEEMS TO ANYONE WITH INTELLIGENCE HIGHLY DESCRIMINATORY AND ALSO CRUEL. IN AMERICA, WOMEN – ALL INCLUSIVE – SHOULD HAVE THE RIGHT TO WISH OR NOT TO WISH TO CARRY ON A NON DESIRED PREGNANCY; LIKE IN THE CASE OF RAPED WOMEN, IT IS CRUEL TO IMPOSE UPON THEM TO COMPLETE THEIR PREGNANCY. ONCE AGAIN, THE IMPOSITION OF THE 53%TERS OVER THE 47%TERS IS A TALIBAN’S AMERICAN MOCKERY, WITH THE SAME WRONG NEGATIVE FEELING AND EMOTIONS TOWARDS TEHIR OWN WOMEN. I THOUGHT OF EXTRAPOLATING THIS PARAGRAPH WITH A MESSAGE TO THE PRO-LIFERS – AMONG SO MUCH EXPECTANCY ON THE SANDY STORM APPROACHING THE EAST COAST OF THE AMERICAN LAND. WANT AND NEED GOD’S PROTECTION THIS VERY MINUTE AS WE SPEAK.. THE INCLEMENSIES OF THE WORSE STORM WE EVER HAD IN YEARS. IF YOU HAVE ANY ESPECIAL “NEED OR WANT” WHERE YOU NEED TO BE HELPED OUT. JOIN ALL OF US AND ELEVATE YOUR PRAYERS TO OUR CREATOR FOR SUCH CLEMENCY. GOD IS GREAT AND HE WILL HEAR ALL THOSE WHO ARE SINCERE AND HONEST PRIMARELY. MANA PIDE QUE TODOS LOS LATINO AMERICANOS SALGAN A VOTAR POR OBAMA. No te puedes imaginar lo emocionado que estoy por compartir este video — y no sólo porque Maná es una de mis bandas favoritas, sino porque ellos sí entienden. Saben lo que está en juego en esta elección y saben que la comunidad latina decidirá lo que pasará en los próximos cuatro años. El Presidente Obama es el único candidato luchando por las familias latinas. Luchó por una reforma migratoria integral y su administración tomó acción para ayudar a aquellos jóvenes indocumentados, conocidos como los DREAMers, que llegaron al país sin culpa propia. Aprobó una reforma de salud que les ayudará a más de 9 millones de Latinos sin seguro médico, aumentó las becas Pell para que 150,000 más estudiantes latinos puedan pagar sus matrículas universitarias, y redujo impuestos para familias de la clase media. Él ha luchado por nosotros — es hora de luchar por él. Mira el video que grabó Maná y asegúrate de correr la voz con tus amigos y familiares — ¡votemos todos! MR MITT ROMNEY – WHY are “RMoney’s ‘voting’ machines” still standing? They need to be dismantled and deep-sixed, ASAP. COUP 2012 UNDERWAY :THIS IS THE REASON WHY ‘THE VOTING RESULTS’ IN THE FOLLOWING STATE – THE STATES OF TEXAS, OKLAHOMA, HAWAII, COLORADO AND OHIO – MAY BE RIGGED AND BIASED. CLGers, please forward this particular edition to as many lists/people as possible.